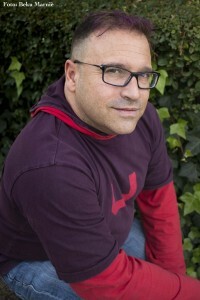 Andrea Casarrubios, cellist, pianist and composer. I get up on a Sunday morning as usual. I go out for an early breakfast with my father, a ritual that these days I can only do at the weekends. It has been a while since I last had a look at the classical music new releases section on iTunes. I decide to take a look when I get back home. 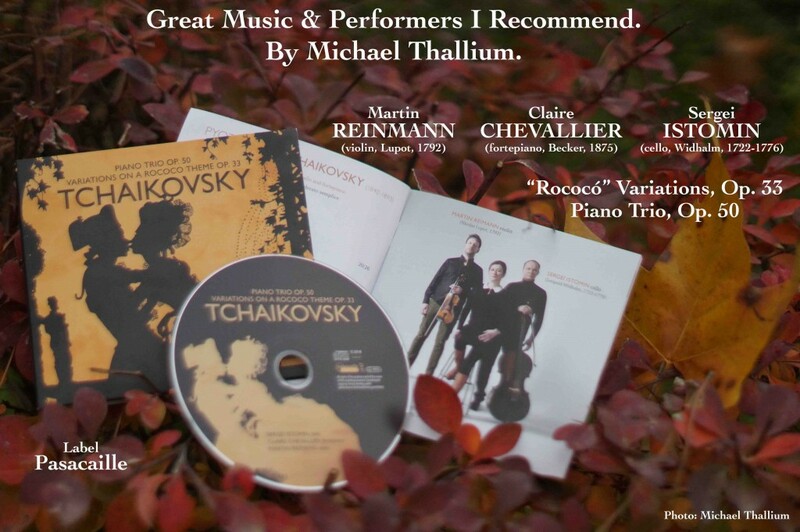 For different reasons, there are three CDs recently released in February 2019 which draw my attention: the pianist Kirill Gerstein performs the Concerto in C major, op. 29 by Ferruccio Busoni (1866-1924) on Myrios Classics; the picture of some Camille Pépin, a young French composer I have never heard of, appears on the cover of Chamber Music, a CD on Elegant People; then I happen to see another cover of a CD on Odradek Records. The title “Caminante” (Wayfarer) and the name Andrea Casarrubios catch my attention. I have never heard of this woman either. I google her name on the Internet. 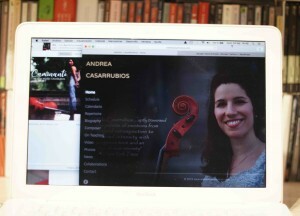 I find out that Andrea Casarrubios is a Spanish cellist. She also studied piano as a child and later, when she moved to the United States, she studied composition with no more no less than John Corigliano! In fact, the works in the album Caminante have been written by Andrea Casarrubios herself. I keep looking up on some web pages and I can read that she was born in San Esteban del Valle —a little village in the province of Avila, in Castille, Spain— in 1988. She was brought up in Arenas de San Pedro. When I read “Arenas de San Pedro“, I recall the times when, as a child, my parents use to take me to a natural swiming pool of freezing water in Arenas de San Pedro. Who knows, I might even have come across Andrea there when she was little! I also happen to read that Andrea Casarrubios is quite successful in the United States and that she is living now in New York. I don’t know if it was because of my memories of that swimming pool or because of the title Caminante or just because I found it really interesting that Andrea Casarrubios has a successful career in the States, the thing is that I ended up requesting Andrea’s friendship on Facebook and purchasing her CD. Actually, I am listening to Caminante while I am writing these lines. The first piece is the one that gives the name to the CD, Caminante. It was written in 2014 for cello and choir. It is based on a famous poem by Spanish writer Antonio Machado (1875-1939): A path, Wayfarer, there is none / As you walk on, the path is done. The piece starts with the cello singing a kind of lament, as if Andrea would walk her fingers along the strings of melancholy creating a beautiful melody. Then joins the choir singing the verses of Machado. On the booklet which accompanies this recording, I can read Andrea’s own words saying that she dedicates this work to Alicia Rodríguez Blanco, who guided and supported her throughout her studies and trips abroad. The next work is Speechless, composed for cello and percussion (vibraphone, cymbal and marimba) duo. It starts with the smooth sound of vibraphone later joined by the cello on lower strings. This work seems to be a journey which starts by the end and it tries to give an answer to the following question: what does it mean to have a voice? Andrea wants this piece to be an experience based on the dialogue of the inner voices of one’s self, following that maxim of never visiting the same place twice. In her search for this vital centre, it looks as if she would be sculpting the music backwards, as if you took off the layers of a finished painting until the first trace, the essence, appeared. Garret Arney is the percussionist who embarks on this Speechless journey towards the essence in a harmonic dialogue with Andrea’s strings and bow. In Crisol (Melting Pot), Andrea Casarrubios shows her skills and exquisite musicality on the piano. Crisol is an improvisation based on motives from the Sonata no. 39 by Haydn (1732-1809). 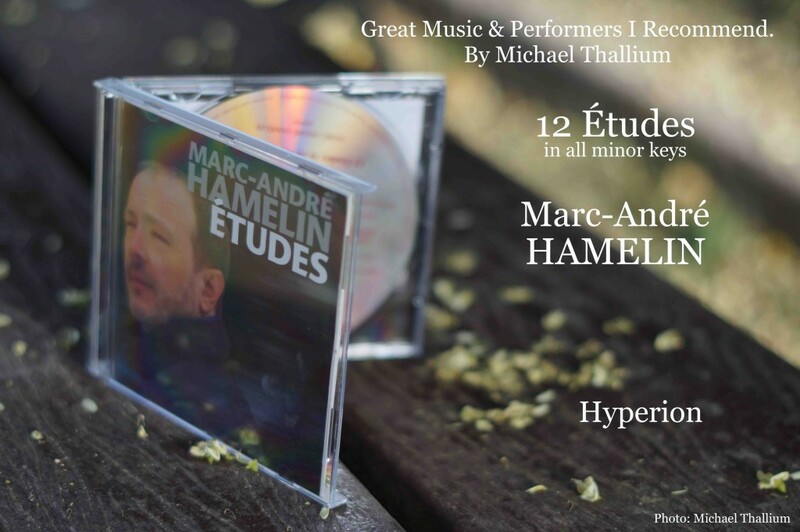 In words of this Spanish composer and musician, the improvisations begin with my own harmonic and textural language, soon to melt into a musical world from the Romantic era. The music walks through a jazz-like moment and then unveils the purity and simplicity of Classicism, with the second movement of Haydn’s Sonata No. 39, which is harmonically linked to his last movement, the Finale. In fact, the work following Crisol is the Finale of Haydn’s sonata; both blend beautifully as if it were just one and only musical work. Next piece is Maktub, a trio for cellos. Andrea wrote it while she was living in Los Angeles for the 6th Luigi Boccherini Festival of Arenas de San Pedro, Spain. In Maktub, the cellists Thomas Mesa and Ismar Gomes go along with Andrea Casarrubios on another musical trip full of the flavours of different cultures from Asia, America, Africa and Europe. Maktub finishes with a reference to the last movement of the Sonata opus 109 of Beethoven (1770-1827). Andrea dedicated this work to her parents. How proud they must be of the fabulous artist their daughter is! The last work of this album is La Libertad se levantó llorando (Liberty rose weeping), a duo for violin and cello written by Andrea on request from the violinist Emily Daggett Smith, who also plays on this recording. It is based on a Pablo Neruda’s poem of the same name. 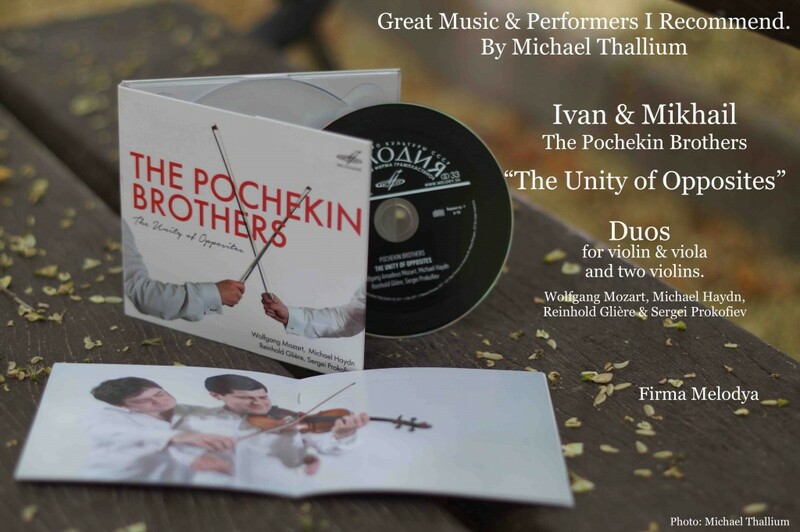 The violin and the cello start a dialogue in a musical cry full of the agresiveness and the vulnerability of the words of those who fight for freedom in the world. Eight and a half minutes into the work, you can hear a female voice reciting Neruda’s poem and I assume it is Andrea’s voice. With this album, Andrea Casarrubios has shown, with great sensitivity and personal touch, that she is a wayfarer of the strings and the world. Using her fingers and compositional imaginación, Andrea has taken music and emotions closer to the ears of people who dwell upon this planet Earth. Music, dear listener, there is none. As silence walks on the music is gone. Madrid. Café Comercial, 05/12/2018. Trio VibrArt: Miguel Colom (violin), Fernando Arias (cello) y Juan Pérez Floristán (piano). Works of Franz Schubert, Trio No, 2 in E flat major, D929; Dmitri Shostakovich, Trio No. 2 in E minor, op. 67. By definition, it is impossible to grasp what is ungraspable. And that is what happens “just a little” with that ephemeral art which is music: grasping it becomes impossible. 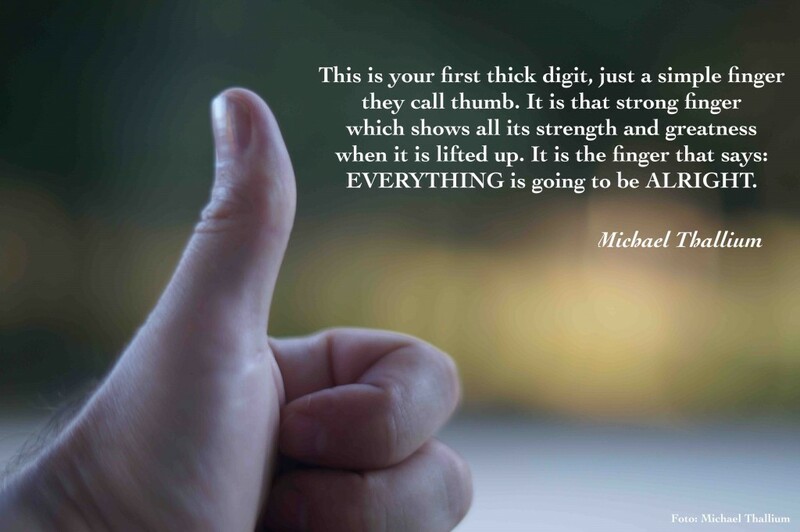 However, —even if we cannot grasp it— that “just a little” is what makes us enjoy music “just a lot”, instant by instant, as time passes by, when the sound waves, by some kind of organic magic, get transformed in our brains and turn into beautiful sounds and harmonic melodies which make us vibrate in tune. Very, very few times that succession of sonic instants turns into truly vibrant art. And that is precisely what the Trio VibrArt achieved at Café Comercial in Madrid. There are moments when you become aware of the transcendence of what you are witnessing, when you realize something is far beyond mere entertainment. 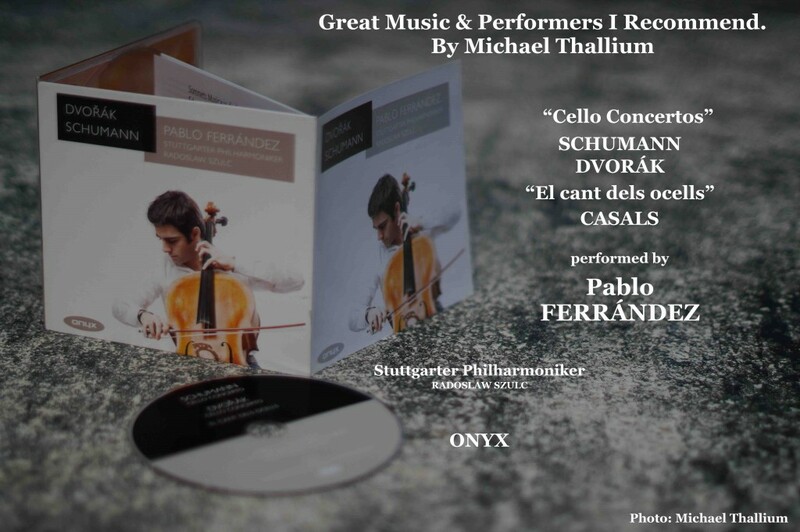 I think I am not mistaken by saying that those of us who were witnesses of the Trio VibrArt recital would agree and state that Miguel Colom (violin), Fernando Arias (cello) and Juan Pérez Floristán (piano) created not just good, but exceptional and unique vibrant art. They raised the bar beyond the immense height —and hard to match— of the two composers they performed: Schubert and Shostakovich. 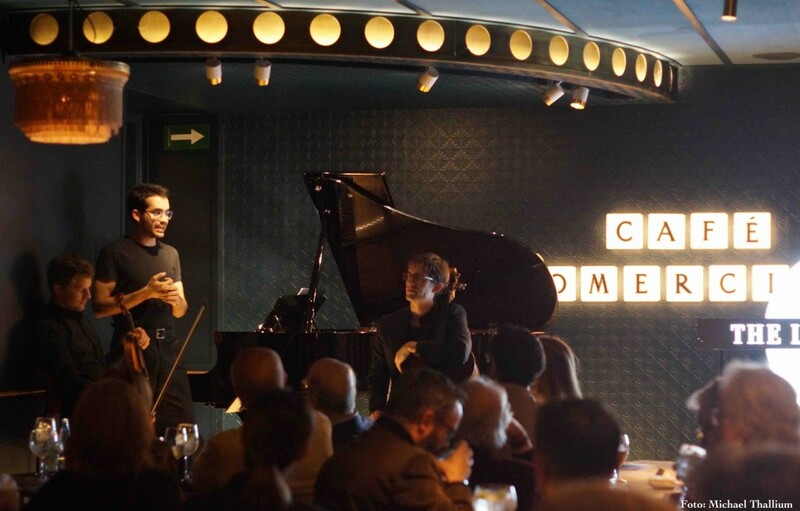 The quality of The London Music N1ghts cycle —sponsored by The London Nº 1— at Café Comercial is growing with each recital. And this is a real challenge for both the artists to come —they are expected to rise the challenge— and the audience attending those recitals —they do not want to be let down. The alma mater of the cycle, Benjamín G. Rosado, hit the bullseye by bringing in the Trio Vibrart to Madrid. On the programme, two chamber music works by two great composers with unmistakable trademarks: the Trio No. 2 in E flat major D929 by Franz Schubert and the Trío No. 2 in E minor op. 67 by Dmitri Shostakovich. These two works are separated by 116 years, but closely connected by the presence of death: Schubert’s work was written in 1828, the year of his death, and it is a real swan song; Shostakovich’s work was written in 1944 amidst the horrors of World War II, it is an anguished song evoking the Jewish holocaust. Miguel Colom (violin), Juan Pérez Floristan (piano), Fernando Arias (cello). The first part of the recital started with Juan Pérez Floristán as a master of ceremonies. 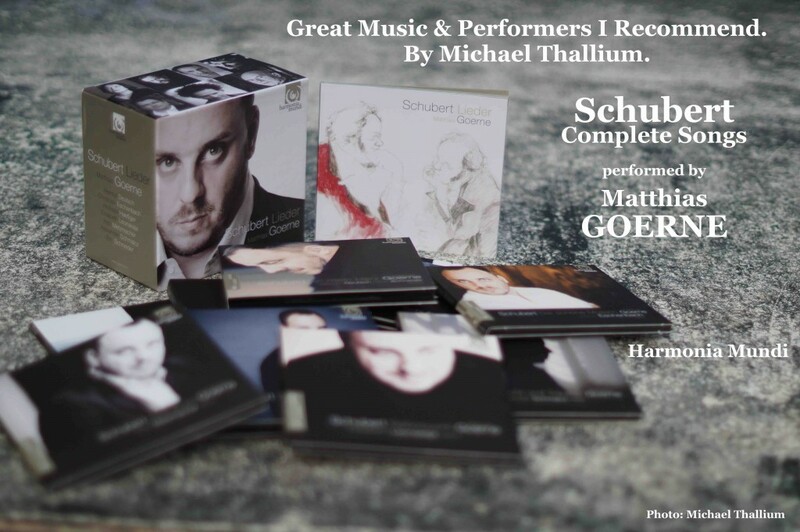 With that particular high pitch and delicate voice of his —something striking given the strength and powerful character of his hands on the piano—, he explained the first of the works to be performed: Schubert’s Trio. It is a quite well known piece —Stanley Kubrik used its second movement in his 1975 film Barry Lyndon— by the audiences. It has four movements: Allegro, Andante con moto, Scherzo and Allegro moderato. It is a work of exquisite melodical beauty and expressive power. In their days, Schumann and Brahms admired this trio above Beethoven’s trios. It was also one of the last works Schubert could see performed before his passing away. It lasts between 40 to 50 minutes. 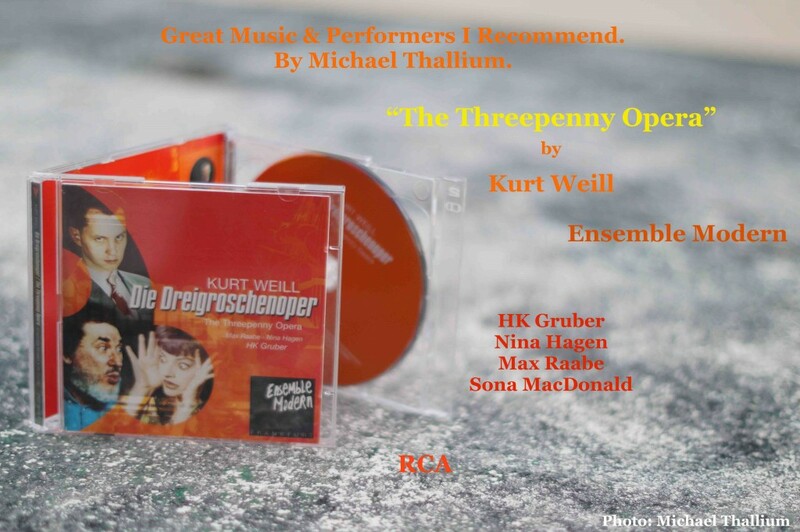 The Trio VibrArt performed this work with a mental and sentimental inner vision, full of clearness and definition, which surpassed the greatness and highness of the schubertian melopoeia. The second part of the recital was introduced once again by Juan Pérez Floristán in his own distinct voice. It was an invitation to an epiphany and a catharsis. Shostakovich’s work in four movements, full of Jewish melodies and dances, starts with a delicate and melancholic singing of the cello, in an extremely high pitch —all harmonics and really difficult. Then the violin joins in, in a very low pitch and, finally, the piano accompanies them both. The Trio VibrArt achieved the catharsis: expressiveness, anguish, contrast, dynamism, beauty, sentiment, power, struggle, rapture, delicacy… And lo and behold the epiphany: the three Spanish musicians manifested themselves as a real world reference in trio chamber music. The enthusiastic applause of the audience, aware of the exceptional performance they had just witnessed, had its reward when the cellist Fernando Arias —interestingly, also with a high pitch and delicate voice that does not match the low pitch and powerful sound of his cello— announced that, as an encore, they would be playing one of Federico Mompou’s Scenes from Childhood arranged for the trio by Juan Pérez Floristán. This short arrangement showed, once again, the musical genius and penetrating intelligence of Juan Pérez Floristán. The Trio VibrArt: vibrant, epiphanic and cathartic! 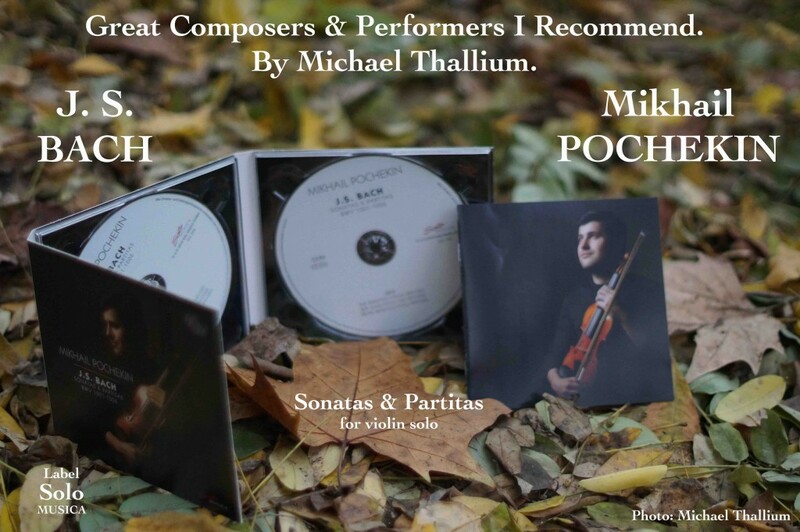 “Six sonatas & partitas for violin solo” by Johann Sebastian Bach performed by Mikhail Pochekin. Label Solo Musica. 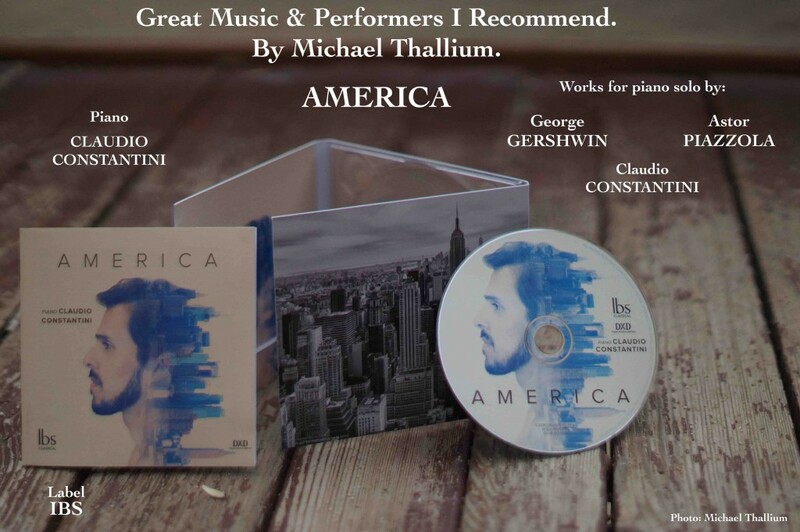 “America”, works for piano solo by George Gershwin and Astor Piazzola performed by Claudio Constatini. Label Ibs Classical. 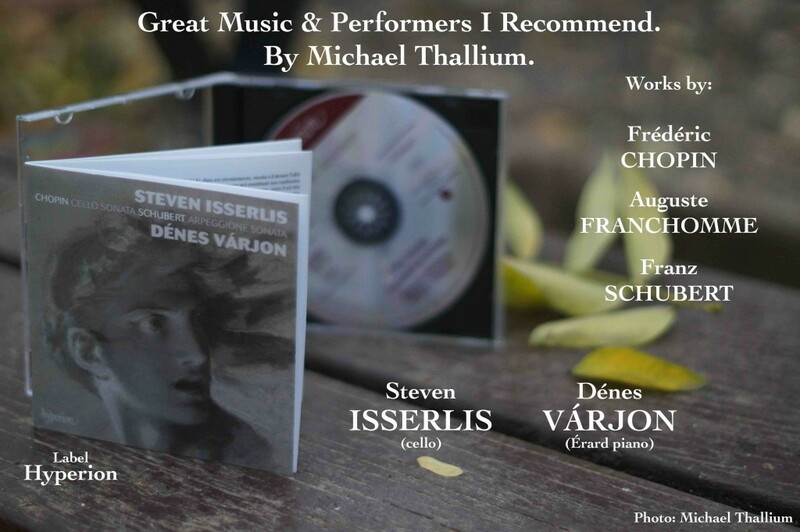 Works for cello and piano by Chopin, Franchomme & Schubert. Steven Isserlis (cello), Dénes Várjon (piano Érard). Label Hyperion. Variation on a Rococo Theme & Piano Trio op. 50 by Tchaikovsky performed by Sergei Istomin (cello), Claire Chevallier (fortepiano) and Martin Reinmann (violin). Label Passacaille. 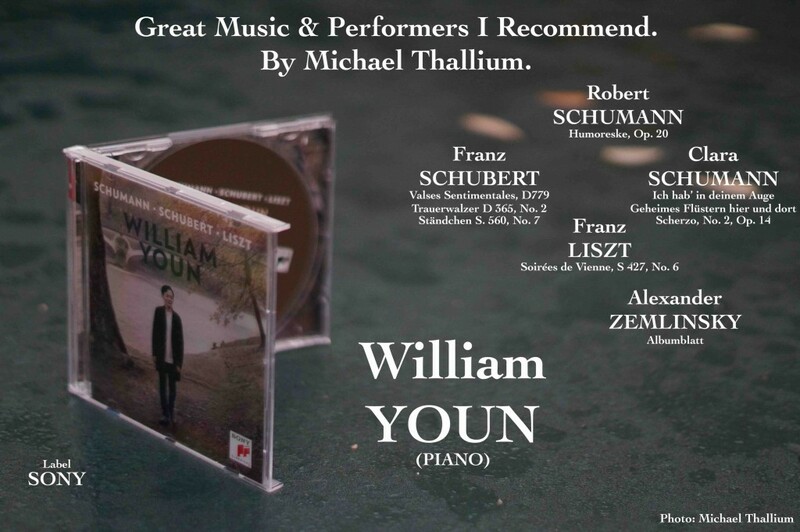 Works for piano solo by Clara & Robert Schumann, Schubert and Liszt performed by William Youn. Label Sony. I think I should first explain how I came across George Santayana —quite a chance encounter by the way—, whom I had never heard of in my life. Of course, since he died in 1952, I do not mean I met him personally unless I were dead —knock on wood!— and had that strange power of coming back to life from the afterworld. No, my encounter with him was a bit more intelectual than physical. It was reading Invitation to Philosophizing Following The Spirit and Writings of Antonio Machado (“Invitación a filosofar según espíritu y letra de Antonio Machado”) by Juan David García Bacca —another Spanish philosopher— that I read the name “Jorge Santayana”. It caught my attention, because I had never heard of him before, and my attention turned into curiosity when I found out about him and got to know that Santayana had written all of his books in English. Actually, he changed the Spanish name “Jorge” —roughly pronounced ‘Horhey’— by “George” and he is considered one of the greatest American writers of the 20th century. However, he always remained Spanish. 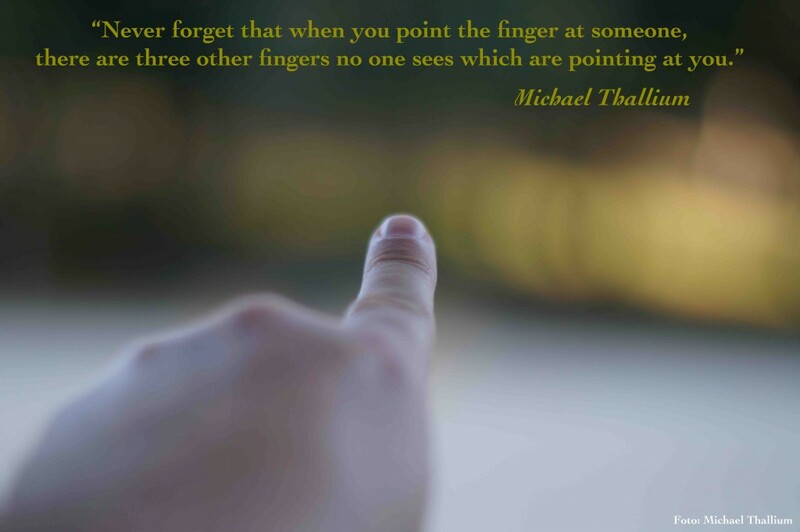 That was striking to me! Was it possible that a Spanish born in 1863 would turn into an American man of letters? After a little research I did, I manage to buy one of his books, Persons and Places, at Menosdiez, a little second-hand bookshop in Madrid downtown. I wanted to try and see whether he really was such a great writer as they said. Santayana had been a nominee to the Pulitzer Prize for his novel The Last Puritan (1936), but he was never awarded with the prize, apparently because he was not an American citizen and had always kept his Spanish passport. And what a great writer he is indeed! 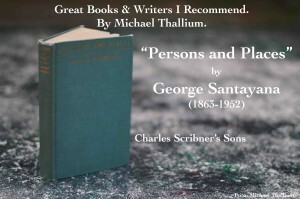 I loved Persons and Places, an autobiography written at his late 70s where he beautifully describes an amazing life of academical achievements, travelling and philosophy. The book is divided up into sixteen chapters where he speaks about his origins in Spain, his teenage years in Boston, his achievements at Harvard University as an adult and his later return to Europe when he quit Harvard at age 48. George Santayana may be the writer —not only prose but poetry as well, see A poet’s testament and O World— who best wrote about Spain in English. And for sure reading Persons and Places is a great exercise for those of us who want to master the English language and the knowledge about life in the late 19th and early 20th centuries in the United States, Spain and Europe. In all that regards himself, his thoughts, or his happiness, Santayana crossed a desert more than once in his life; so that when he looks back over those years, he sees objects, he sees public events, he sees persons and places, but he doesn’t see himself. His inner life, as he recalls it, seems to be concentrated in a few oases, in a few halting places, Green Inns, or Sanctuaries, where the busy traveller stopped to rest, to think, and to be himself. Now you may understand the practical reasons why I chose the music of Victoria while I was writing these lines. If you don’t, don’t worry, maybe someday you too will connect the dots. 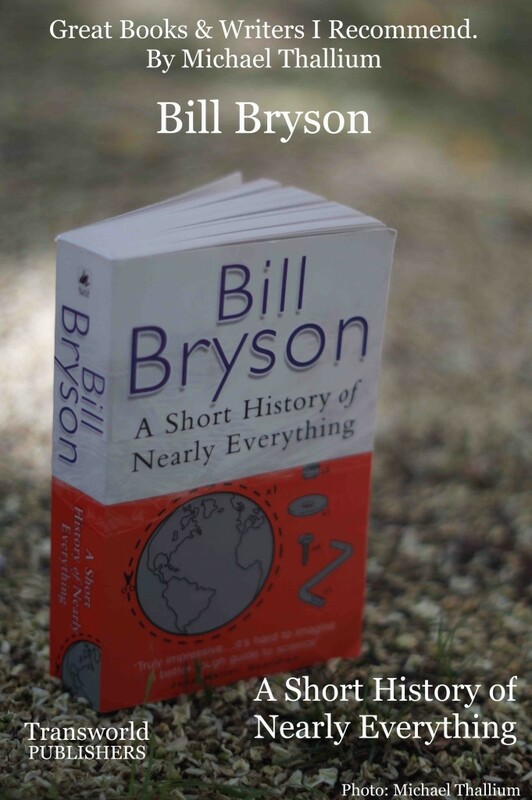 “A Short History Of Nearly Everything” by Bill Bryson. Transworld Publishers. 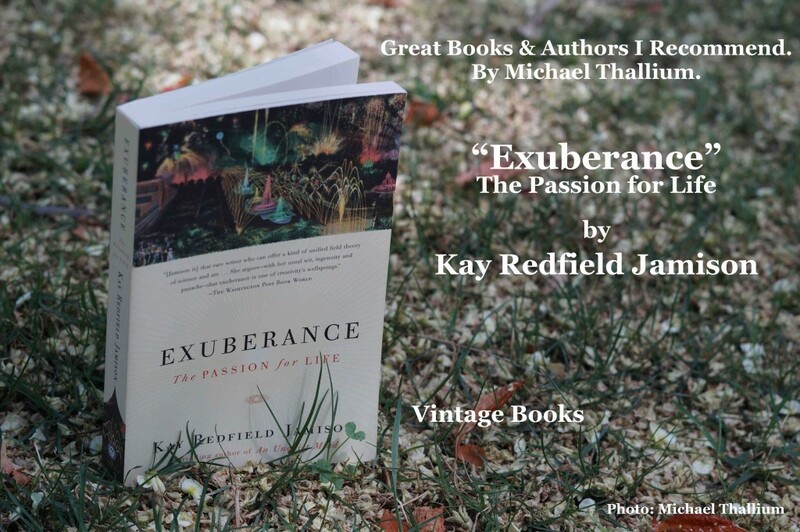 “Exuberance” by Kay Redfield Jamison. Vintage Books.